Flora Carpark is the gateway to Kahurangi National Park New Zealand. There are a number of tramping options to choose from (see below). From spectacular one day walks right through to multi day tramps. This park offers challengers for the novice tramper on formed tracks to the more experienced tramper with wilderness areas where there are no tracks or huts. Mt Arthur and Gordon's Pyramid are best avoided in low cloud or foggy conditions. I know of one case when a experienced hunter stepped off a bluff on Mt Arthur.Sadley he didn't survive the fall. 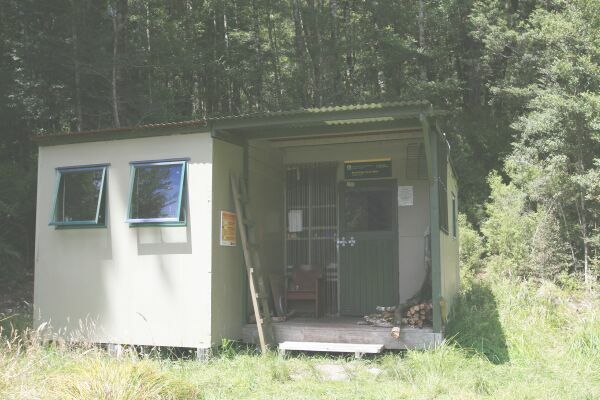 Mt Arthur and Flora Huts are ideal overnight huts for family groups or those who are just starting out. Salisbury Lodge is a good place to base yourself and spend a couple of days exploring the sink holes and gold mining sites scattered around the Tablelands. Unfortunately it's not safe to leave your car in the carpark over night. If you are leaving it there for a the day make sure you remove any valuables. There is no longer a public phone at the carpark. It had to be removed because of vandals. However mobile phones receive a good signal. It's possible to get a signal from Mt Arthur, Gordon's Pyramid and Mt Peel.